Plot: Cary Grant portrays Mortimer Brewster, a famous arts critic who marries the girl next door on Halloween. He returns to the Brooklyn home he shares with his two maiden aunts to pack for his honeymoon (at Niagara Falls, of course), when he discovers a corpse in the window seat. Mortimer is shocked to learn that his sweet old aunts have been poisoning lonely old men with arsenic laced elderberry wine, and burying them in the “Panama Canal” that Teddy has dug in the cellar. He spends the rest of the movie frenetically trying to have Teddy committed, in the hope that if the authorities should happen to learn about the bodies in the basement, they’ll blame it all on Teddy. Midway through, long lost, psychopathic third brother Jonathan appears on the scene with his plastic surgeon and another corpse in tow. Arsenic and Old Lace was released in 1944. It’s in black and white and very much like the stage play that inspired it, but when viewed as a period piece, one of the “madcap comedies” of the time, it doesn’t come across as dated. Cary Grant bears the weight of the plot, and he’s brilliant. It’s a joy to watch him convey a full spectrum of emotion in a ten second sequence of facial expressions. Raymond Massey plays the role of Jonathan, who becomes enraged whenever anyone mentions his resemblance to Boris Karloff, and Peter Lorre that of Dr. Einstein, who keeps promising to make him look like someone else. The aunts, some cops, Mortimer’s new wife, and the sanitarium director make frequent appearances to move the story along. In spite of its macabre theme, this is very much a comedy, with lines that hold up quite well some seventy years after they were uttered. Great fun, full of laughs, and vintage in the best sense of the word. Ethelberta Chickering grew up determined to raise her status in the world, and when the son of the house where she served as governess proposed marriage, she agreed with alacrity. Her mother-in-law is snooty, but when Ethelberta is suddenly widowed while on her honeymoon, she takes the young woman under her wing. When the old lady dies, Ethelberta’s sole means of support is gone, and, frantic about losing her social position, she determines to marry as soon as possible. Granted the use of the family townhouse in London, Berta recruits her entire family, bumpkins all, to pose as her servants until she can snag herself as husband. She is young, beautiful, and conniving, and has no trouble attracting suitors. The plot thickens. This is far from Thomas Hardy’s typical moralistic, tragic tale of woe. Subtitled “A Comedy in Chapters”, the novel is not funny in the modern sense of the word, there are some remarkably droll moments. Rather, it lacks his signature tragic ending. But one of the themes prevalent in most of his work concerns problems of sexuality and marriage, and that is the case in Ethelberta. It also focuses upon Victorian restrictions upon women, and social inequalities, and some critics characterize him as an early feminist in his leanings, which seems to be the case here. Ethelberta is not a vacuous woman, but one torn between her dread of returning to her humble origins and her genuine concerns for the welfare of all the members of her family. While she does have her flighty side, so do her male acquaintances, and she is determinedly singleminded. Romantic love is a notion that she rejects; although she is powerfully attracted to Christopher Julian, an impoverished music teacher, she never considers him an acceptable match. In her pursuit of what she views as happiness, she is not unlike many of her modern contemporaries. Hardy, of course, writes in a 19th century style, with 19th century sensibilities, which in places becomes tedious. 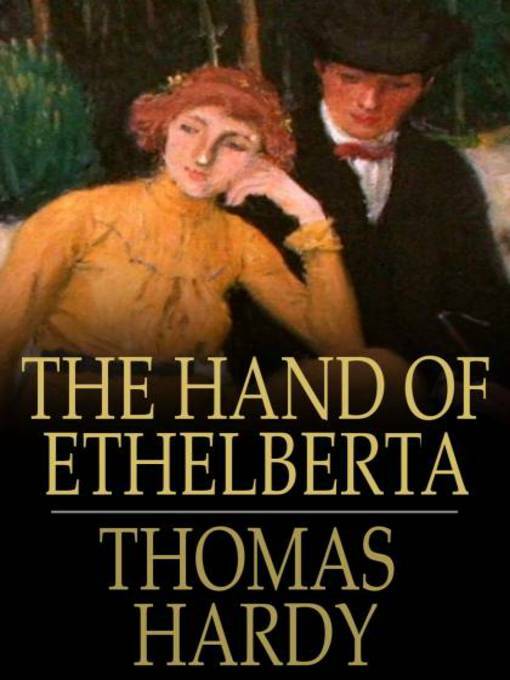 But his books revolve around timeless themes, and Ethelberta is no exception. As for the ending, for Hardy, it’s a surprisingly happy one. Guess this has been going on in offices from time immemorial! Yankee Magazine has been posting articles from 30 years ago on their website, many of them still very interesting. Today I read about, of all people, Calvin Coolidge, known in his day as “Silent Cal”. Turns out, if you read transcripts from his presidency, this guy had a dry wit about him. In a few sections of the following article, my husband and I had some good laughs. Check it out. Who knew? Article from the September 1977 issue. Balthazar Jones is a Beefeater, or as he prefers, Yeoman Warder, at the world famous/infamous Tower of London. Despite the fact that their living quarters in Salt Tower are round and more than five centuries old, life was good for the Joneses until the the death of their young son. In their terrible grief, their once happy marriage has crumbled, and now both Balthazar and Hebe, his wife, are hurting too much to muster the energy to do anything about it. This is a story that could be depressing, but author Julia Stuart deftly balances it with the Jones’s unusual friends, which include a lovesick vicar who secretly writes bestselling erotica, the oldest tortoise in existence ( more than 120 years and counting), the head of the Richard III Appreciation Society, and Hebe’s generously proportioned colleague at the London Underground lost property office. And let’s not forget the ghosts. When Balthazar is assigned to manage the newly recreated Tower Menagerie, composed of exotic animal gifts to the Queen from foreign powers, just about everything threatens to fall to pieces around him. Tower/Zoo/Tortoise is a warm, quirky tale of love, loss, pain, coping, and healing, all wrapped around the prosaic but essential idea that we are all mostly alike and we all need each other. Ms. Stuart’s injections of wit and gentle humor, coupled with her ability to control her plot and avoid mawkishness, make this novel a little gem. It will make you smile. By the way, the name of the tortoise is Mrs. Cook.